MEDINA, Ohio--(BUSINESS WIRE)--Oct. 4, 2018-- RPM International Inc. (NYSE: RPM) today announced that it has promoted Lonny DiRusso to vice president and chief information officer, Matthew Franklin to vice president – information technology, and Gordon Hyde to vice president – operations. In his new role, DiRusso will be responsible for ensuring that RPM’s corporate-wide IT program aligns with its overall strategic vision. He will report directly to Frank C. Sullivan, the company’s chairman and chief executive officer. Prior to this promotion, DiRusso held the position of vice president – information technology at RPM for the past 13 years and, before that, the titles of director – information technology and management information systems manager. He holds a bachelor’s degree in computer information systems from Cleveland State University. As vice president – information technology, Franklin will be responsible for day-to-day IT support at RPM’s corporate headquarters, providing senior oversight of IT initiatives companywide and managing its information security program. Having joined RPM 20 years ago, he previously held the position of senior director – IT operations. Franklin is a member of The Conference Board’s CISO Council, where he serves on its executive committee. He holds a bachelor’s degree in information management from Myers University. In his new role, Hyde will be joining colleague Timothy Kinser, also recently appointed as vice president – operations, to team together to lead RPM’s manufacturing, supply chain and procurement improvement initiatives. He will primarily be focused on driving manufacturing efficiencies, asset optimization and inventory improvement. 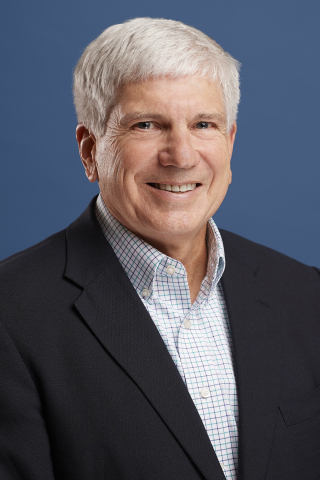 Hyde began his career at RPM more than 20 years ago as vice president – operations for Zinsser, a former RPM operating company, and subsequently held similar positions at RPM and its Wood Finishes Group before joining RPM Specialty Products Group in 2015. He holds a bachelor’s degree in astrophysics from Brown University and an MBA from the University of Michigan.